The weekend's pass far too quickly. I am suffering with a case of the Sunday blues and wishing I still had some roast lamb left from the delicious dinner my family made for us today. Luckily, the sun was shining and with these lighter nights slowly approaching, we managed to have a little drive around the countryside and a walk in the woods. I got my hands on this gorgeous grey midi dress from Primark yesterday. I saw it a few weeks a go and remember walking out in a strop because they didn't have my size. Much to my delight yesterday, they had my size and I snatched it up quick considering it was only a tenner. I was also very pleased to find this green tartan scarf from a smelly little charity shop. It was only 99p and I know its going to get a lot of wear. From time to time, I turn up to my desk at work with some lovely little gifts sitting there just waiting for me. I was so chuffed to see a Barry M Magnetic nail varnish glimmering at me when I had soggy tights from the snow. I must say, it works very well, actually, a lot better than I expected. You need to pant one coat, then immediately after painting the second coat, hold the magnet over the nail and the beautiful effect appears. Before I go, I would like to mention that my very talented sister now has a blog up and running! You can find it here and there are some lovely pictures to purchase if you are interested! My sister is a qualified illustrator too so give her a follow and welcome her to the blogging world. honestly your sense of style never fails to impress! I LOVE this outfit! Especially your bag,shoes and scarf. I am off right now to check out your sisters blog! 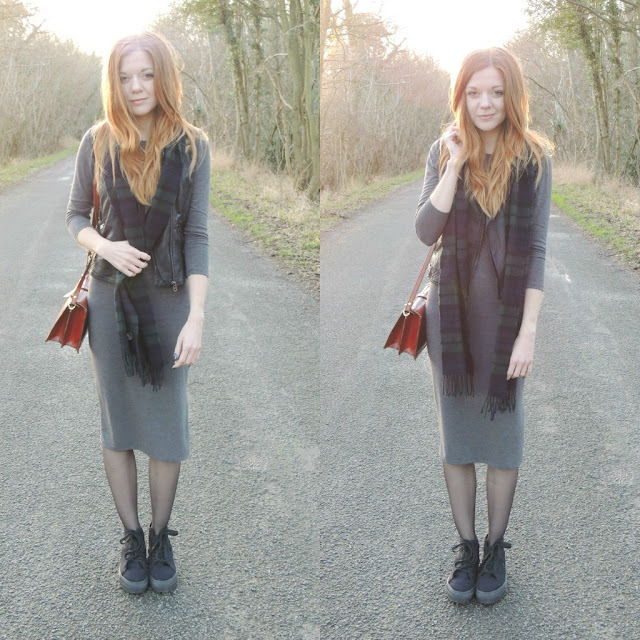 Ooh, I love the grey dress, the colour and dress are perfect for this time of year. I know most folk think you should add a dash of colour to brighten up the cold months I like to wallow in sombre shades. 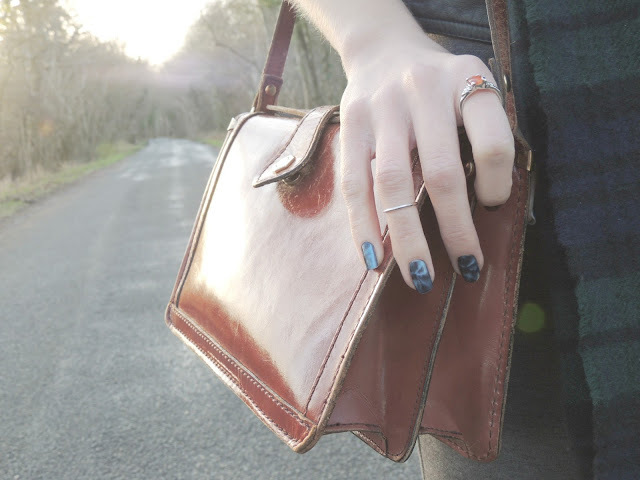 Lovely bag, ring and nails too! 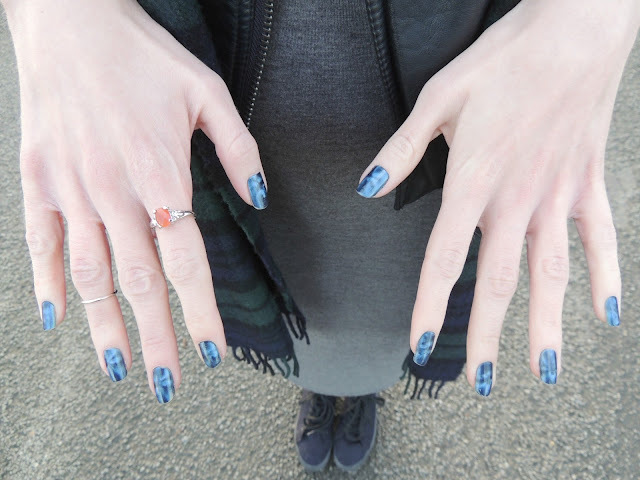 Gorgeous outfit :) Your nails are so pretty , iv never tried magnetic polishes but the effect looks lovely !